Most of us have a family that is at least touched by dysfunction; a crazy relative, or someone whose politics we disagree with, or a wayward aunt and an uncle who gets ruder the more he drinks. We have grandparents who bicker or a selfish cousin, estranged siblings, or overly needy family members. Many of us have blended families that result in complicated relationships...dysfunction is pretty par for the course when big families gather around holiday tables. If you're lucky enough to have an entirely warm, loving, cohesive family....lucky you! If not, take comfort in these fictional families who are way WAY more screwed up than yours is. After reading any of these books, your family will look down right pleasant and normal this Thanksgiving, we promise! *some links are affiliate; we deeply appreciate your support! 1. Wuthering Heights | Emily Bronte- One incredibly twisted attraction leads to two families and their subsequent generations being just completely ruined. Forbidden love, foundlings, beatings, hostage situations, crazy men, mean girls, naive girls, a rundown old house, neglected children, cruelty, untimely deaths, and more inhabit this Gothic/Romantic (not romance!) novel. Plus, you can check out the dinner party we did! 2. Game of Thrones | George R. R. Martin- Incestuous twins, unloved bastards, fratricide, poisoned cups, fathers who father daughters with their daughters, banishments, witches' curses, disownments, a brother who burns your face off, killing off of brothers-in-law, stealing of wives, sister assassins, beheadings, and much much more screwed up family drama exist in the pages of this series. We promise, your family can't hold a candle to the level of disfunction with every single family in these books. 3. The Descendants | Kaui Hart Hemmings- This actually hits kind of close to home for me (minus the drugs), and is a movie my dad, brother and I watch as a morbid kind of tradition to remind ourselves we aren't alone (and yes, we've all read the book, too). Basically an affair is revealed while the perpetrator is in a coma, and then subsequently dies. Add in a drug addicted teenager, nosy friends, and a workaholic parent who suddenly is a single parent, and put them on a quest for answers and you have yourself one giant helping of complicated feelings and family craziness. 4. Anna Karenina | Leo Tolstoy- The opening line should be a pretty good indicator of the family dysfunction enfolded in this novel's epic pages: "Happy families are all alike; every unhappy family is unhappy in its own way." Brutal heartbreak, aunt's stealing niece's love interests, affairs, abandoned children, rejection, marriage proposals, custody issues, and death follow all the families in this story. Pretty much nobody escapes unscathed by the dysfunction, but it's just so beautifully done. 5. The Godfather | Mario Puzo- Do we even need to explain this one? Mob murders, drugs, family hierarchy, ruthless assassinations, mistresses, and spousal abuse abound. The Corleone family and the other mob families they fight with are legendary because of the movie, but as is often the case, the book was better (and a lot more detailed). 6. The Golden Compass | Phillip Pullman-The heroine of this series, Lyra, has parents who are essentially evil, cold, and power hungry. Lord Asriel and Mrs. Coulter are both pretty vile humans, and while they have a huge role in the plot, pretty much abandon their daughter to be raised at Jordan College where the scholars and professors vaguely look after her. She is even told that Lord Asriel is her uncle, and that her parents died in an airship crash, before she learns the truth later on. Talk about messed up! Eventually her corrupt parents engage in cosmic war with angels...not exactly conducive to a serene family life. 7. Rebecca | Daphne Du Maurier- Our narrator jumps into a whirlwind romance while abroad, and promptly moves into her new husband's creepy mansion. There she meets a sinister housekeeper who basically tells her she will never be as good as the previous wife, Rebecca. But what exactly happened to her? Enter dark obsessions, madness, someone who encourages suicide, manipulation, affairs, murder, illness, and fire. Lots of fire. 8. Tender is the Night | F. Scott Fitzgerald- This one is kind of a doozy. Fitzgerald paints the portrait of a marriage in which mental institutions, doctor/patient relations, and self harm are part and parcel along with the parties and the kids and the house. You've also got yourself multiple affairs, some with considerable age gaps, casual hotel murders, and deep, throbbing unhappiness and desperation. Really an amazing feat of dysfunction under a perfect facade. 9. 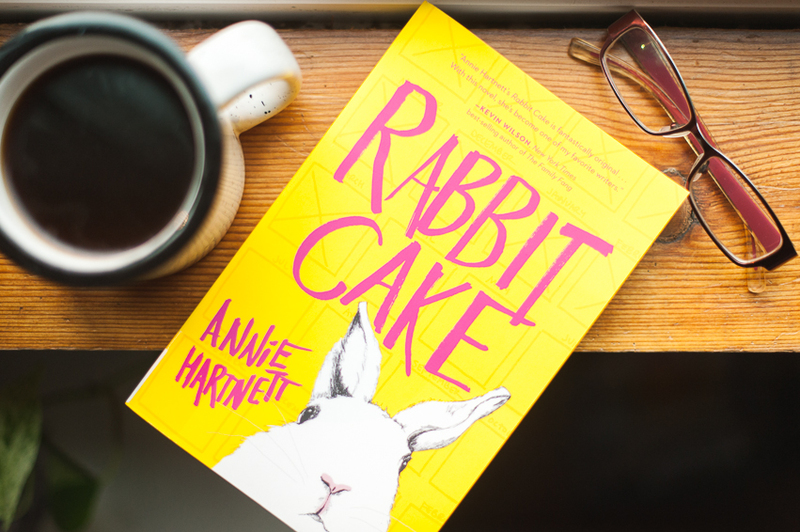 Rabbit Cake | Annie Hartnett- When we asked our instagram followers what their favorite dysfunctional family in literature was, we got a bunch of votes for this one, and it's easy to see why. A cross dressing father, a recently deceased mother, a sister with a serious (and dangerous) quirk, and whole lot of grief make up Elvis' family. It's quirky and sad and funny all at once, and we even recommended it in our Indie Press Guide! What are your favorite dysfunctional fictional families? They certainly make for fun, albeit heartbreaking literature!